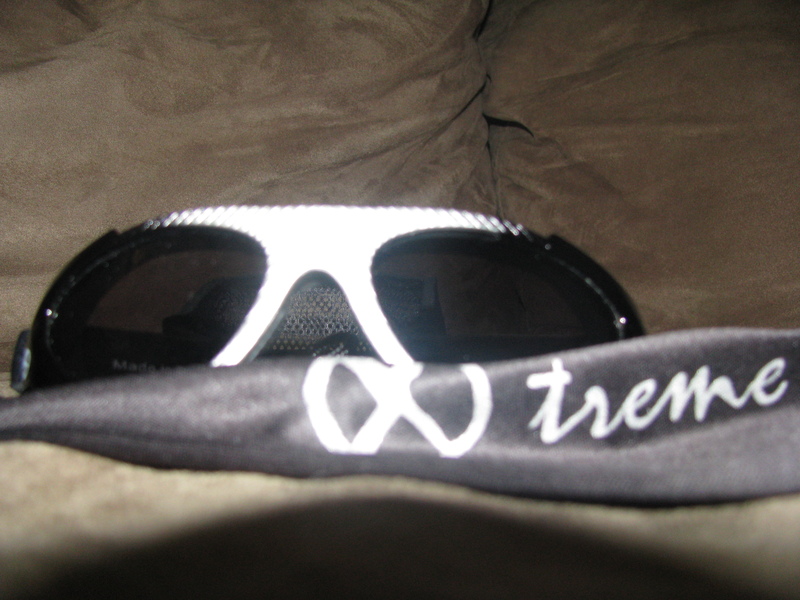 This fall we were the lucky recipients of some amazing sunglasses for my son. 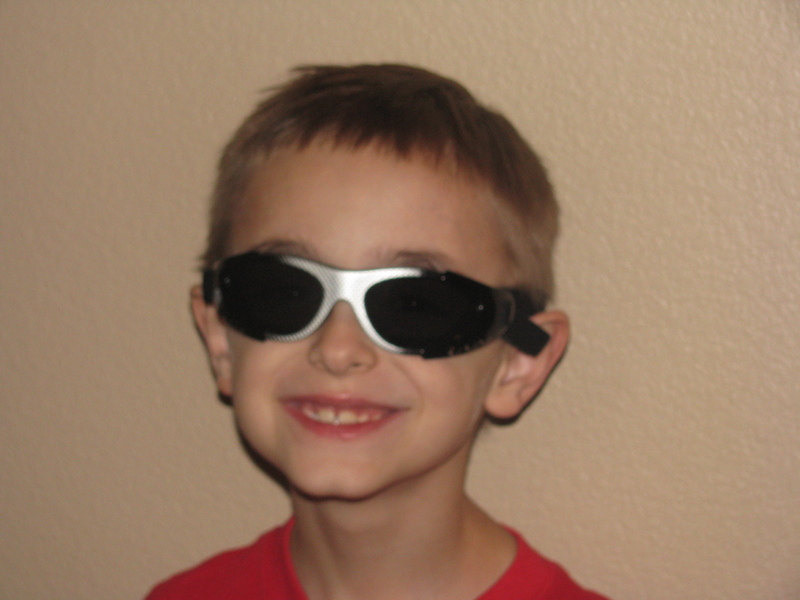 His Real Kids Shades are a great fit, stylish, and durable, which is their most attractive feature. I love the wrap-around band, and that they protect him from both UVA and UVB light. We have bought sunglasses in the past and they rarely offer this level of protection. I have learned that sun damages eyes like it does skin, and that children wearing sub-par sunglasses are at higher risk because the tinting causes their eyes to dilate and thus exposes them to more of the suns rays. It is also important that kids have coverage year-round, which I am guilty of just providing sunscreen and sunglasses during the summer. My son is extremely active and we live in Las Vegas, where it is sunny year round. It is important that he have protection for his eyes and skin. These sunglasses will start traveling with him to school and all outside play. Real Kids Shades are perfect for my son. The active design and wrap-around sides are comfortable. What you cannot see is the padding inside the glasses to protect his eyes. He is sometimes sensitive to new things and has fussed a little about the inside padding, but will have to get used to it. He needs the protection, and I have great peace of mind that these are made with the best quality and strongest durability that a mom can find. Their prices are also great. I would encourage every mother to buy sunglasses for their kids and Real Kids Shades is my first choice out there. Sunglasses are important gear for your child during back to school time and throughout the year! Your child’s backpack should always have a pair of sunglasses handy so they can put them on when they’re outside at recess, or walking home from the bus stop. We understand that back to school time can be stressful for families. The calendar fills up and so does the “to do” list. We also understand that the endless amount of school supplies, clothing, and gear that need to be purchased can put a real financial strain on parents. Real Kids Shades is helping out families by offering two special Facebook promotions. Now through September 27, 2012, we are offering 20% off all items on our website. Click here to register and receive your coupon code. Enter for a chance to win a $250 Visa Gift Card from Real Kids Shades. This gift card is just what you’ll need to cover some of those inevitable back to school expenses. Simply click here to enter. Stay tuned for a $50 giveaway brought to you by Sublime Media Connections. I received the above products through Sublime Media Connection in exchange for an honest review. In no way was I asked to give a positive review. Pingback: My Devotional Thoughts | Real Kds Shades Giveaway (Ends 10/3) U.S.